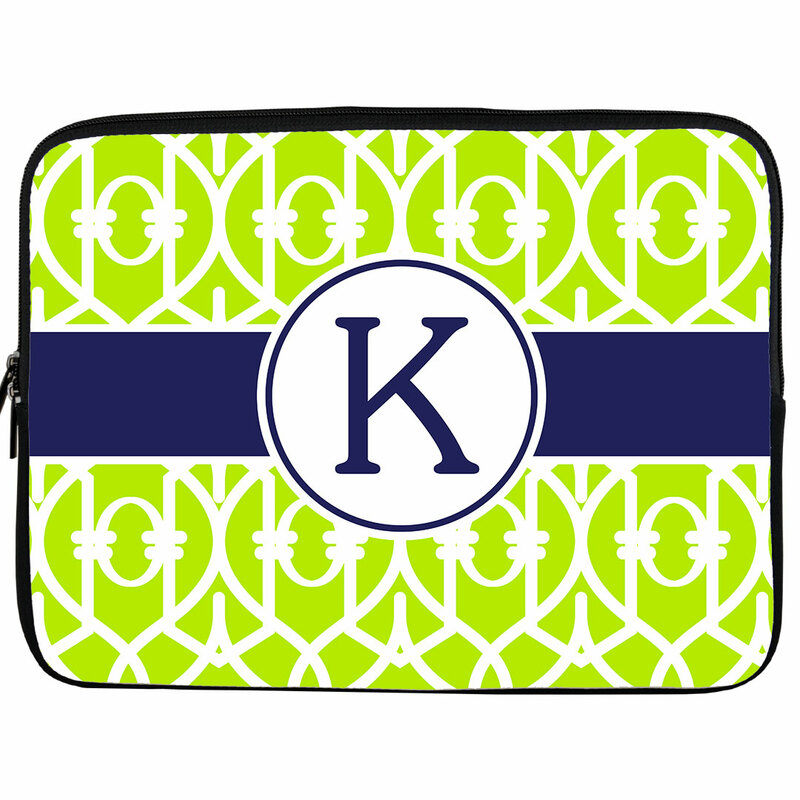 Our stylish Trellis Print Personalized iPad or Laptop Sleeve will protect your iPad, Laptop or 7" Kindle while on-the-go and will also keep you looking just as stylish as always! The neoprene exterior feels great in your hands while it securely holds your iPad®, Kindle or Laptop in place. 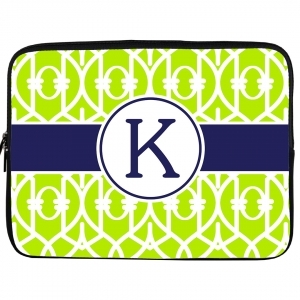 Our monogrammed neoprene sleeves for iPad, 7" Kindle and Laptops are great protective, yet slim fitting sleeves --- perfect for on-the-go style! Slip your device into this zip around sleeve & slide it into your tote bag or purse when travelling.